Executive Towing Services offers vehicle transportation and recovery services in the suburb of Karrinyup. You never know when your car or truck might break down or get involved in an accident. In these situations, you’ll need a dependable towing service to transport your vehicle to the nearest auto shop for repair. That way, you don’t need to be stranded for any longer than necessary. We are one of the most competitively priced towing service providers in the entire suburb. Whether you need us to recover your broken-down vehicle or transport your existing luxury vehicle to a new location, we are the one to call. Executive Towing Services is a name that many people in Karrinyup are already familiar with. Our level of customer service is certainly not forgotten amongst those whom we’ve already helped. Let us do the same for you in your time of need. Find out more information at 0410 471 056. Our services are open to all citizens and guests of Karrinyup. If you are driving anywhere in the suburb and experience car trouble, Executive Towing Services can be there in a moment’s notice. We have tow truck operators positioned all over the suburb so that we can reach you quickly. That way, you won’t need to be stranded for too long as you wait for help to arrive. Local residents can certainly vouch for the speed and professionalism of our tow truck operators. In addition, we can relocate your expensive vehicle to a new location without damaging or even scratching it. If you have a customized or luxury vehicle that you’re too afraid to transport yourself, let us do the job for you. We have special equipment that can ensure your vehicle will not be compromised in any way during transit. This can even include vehicles that have low suspensions too. 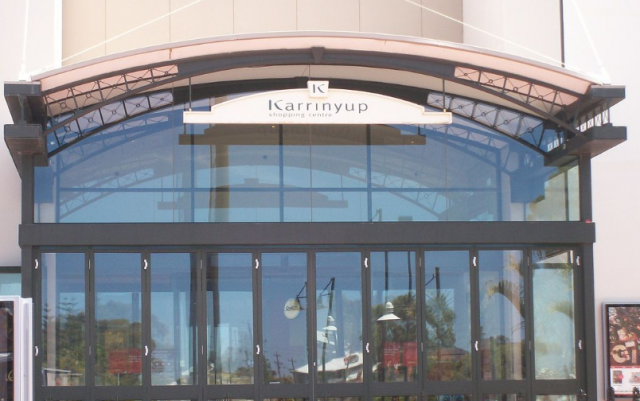 Karrinyup is a suburb known for its residential neighbourhoods and shopping locations. If you are stranded somewhere, you are going to need a phone number to call to get you out of that situation. Executive Towing Services is your number one roadside assistance provider in Karrinyup. Sometimes all you might need your flat tyre changed, more air pressure, fuel replenishment or a jump start to get you back on the road again. If that’s what you need, then we can accommodate you. Contact our customer service team to inquire more about our roadside assistance services. The team at Executive Towing Services has all their credentials in order. Each tow truck operator of our company is fully trained, licenced, and insured to provide towing services in Karrinyup. On top of that, these operators have many years of experience on their resume to prove how skilled they are. When we respond to a service call, we maintain the utmost professionalism and speed with every customer that we assist. If you need a tow truck right now or would like to find out more information, you can call us at 0410 471 056 or go to our website and use the contact form. Karrinyup is a suburb of Perth, Western Australia and the local government area is the City of Stirling. The area is a reasonably large affluent suburb with two golf courses, private schools and Karrinyup Shopping Centre which is currently the third biggest shopping centre in Perth. Karrinyup is located approximately 3 kms from Trigg beach.